To create calm, inviting and intimate spaces, it’s essential to cut back. Limiting the surroundings to just a few materials is a sure way to encourage introspection and to calm the senses. So the ambience here is marked by a single natural stone and a single type of wood for the basic materials. Silver quartzite from nearby Brixen is used for the floor and for the rough-hewn stones in the walls. 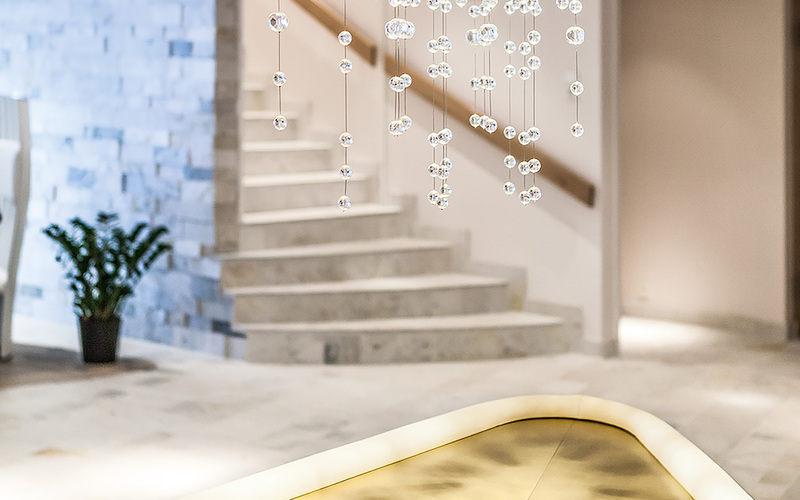 The stone brings the surrounding mountainous countryside into the interior, creating a highly unusual atmosphere with a local touch. Snow crystals in the air or sunbeams at a mountain spring – these are the associations triggered by the silvery mosaics. Golden rhinestone recalls the autumnal colours of the surrounding larch forests, and provides a transition to the breathtaking façade. 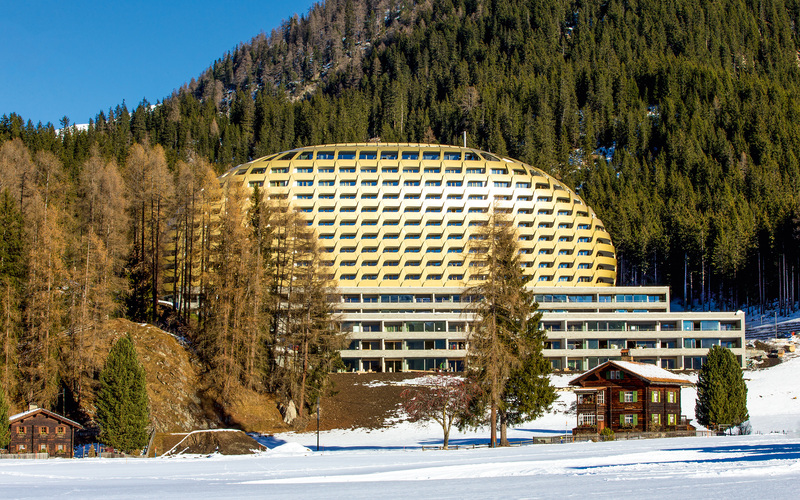 On 1,200 m², the Alpine Spa offers its guests an enduring wellness experience: three separate spa areas (female, male, communal), indoor pool, outdoor pool, reception, fitness studio, yoga, quiet space. 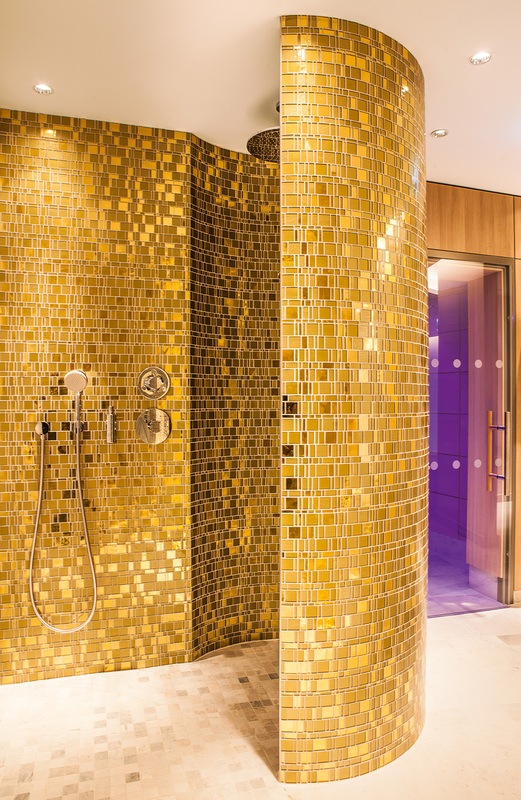 The male area includes a sauna, GREEN STEAM bath with glass mosaic, shower area with high-grade glass mosaic on curved walls, heated bench and POLARIS ice fountain. 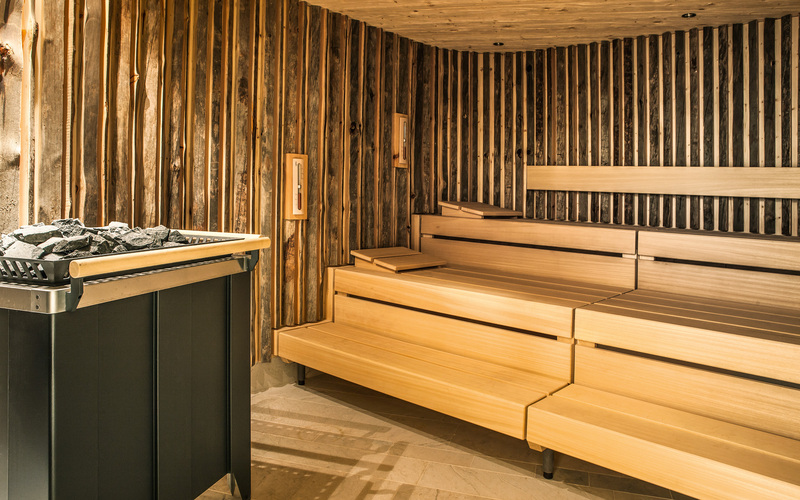 The female area features an impressive sauna with lined kelo panelling, a SANARIUM® with coloured light, a shower area with high-grade glass mosaic on curved walls, and a waterfall and spacious heated bench made of natural stone. 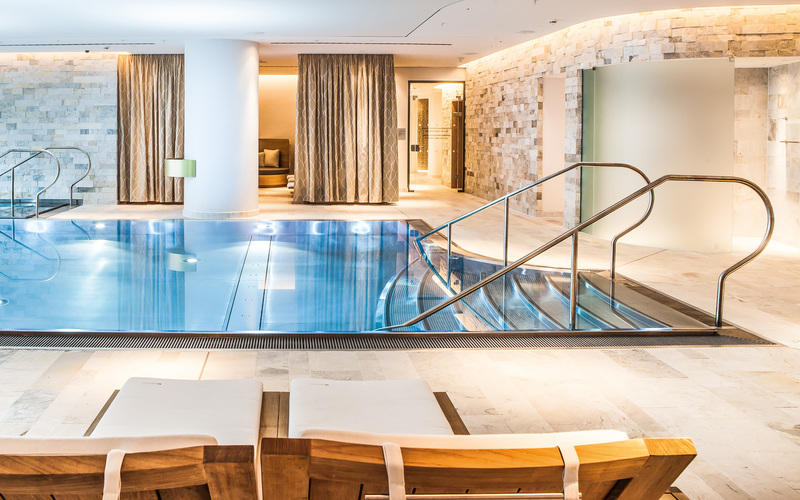 Select materials and a clear language of form: the spa at the InterContinental Davos displays an impressive use of space that focuses on the essentials. 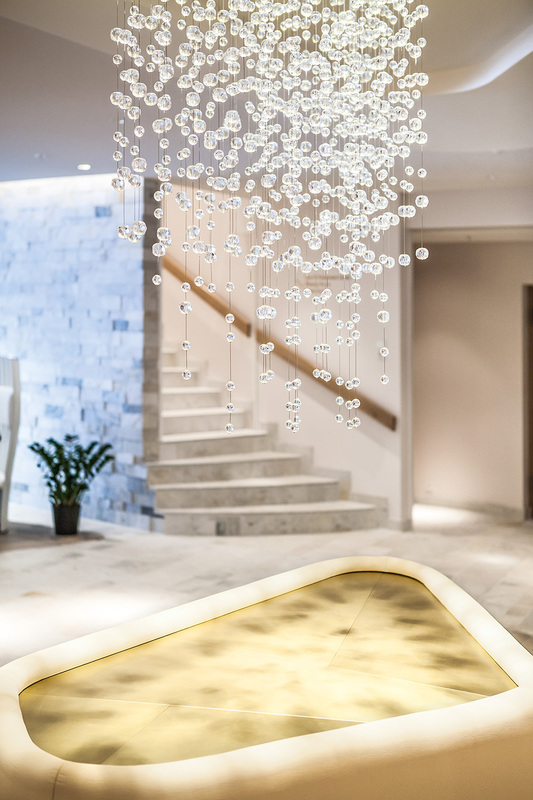 Mosaic walls and lighting features blend harmoniously into an all-encompassing sense of freedom for body, mind and soul.